Understand submission, authority, and spiritual covering. Who is your covering? While many Christians have never heard that phrase a growing segment of the church knows exactly what it means. It means "which authority are you submitted to." Among evangelicals there is a growing movement that teaches all people in the church need to be properly "covered" by God’s "delegated authority" in the church. The self-styled New Apostolic Reformation is a major component of this movement but doesn’t encompass all of it. Around the world "apostolic networks" are springing up heralding the return of God’s true authority to the church. While covering theology is more popular in non-denominational charismatic churches it is slowly gaining ground in more traditional evangelical circles. More and more people are becoming concerned with the rise of this theology because it has led to spiritual abuse, controlling church leadership and spiritual shipwreck. The goal of this website is to examine covering theology from an evangelical perspective without resorting to personal attacks or underhanded tactics. If you believe I have misconstrued the facts I invite you to contact me through this website. 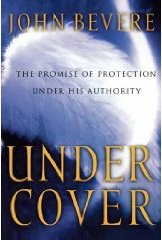 The best recently published work espousing apostolic covering and authority is John Bevere’s book "Under Cover" and his companion video series. Theologically it is a retread of the doctrines of the old shepherding movement of the 70s and 80s. Much of the shepherding movement was rooted in a combination of Watchman Nee’s Spiritual Authority and the doctrines of the Latter Rain Movement. For more see Covering Theology 101. 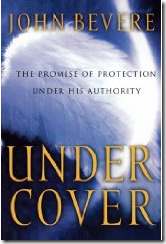 Undoubtedly there are some people reading this page that are currently involved in a church that believes in coverings. For those of you who are seriously questioning these teachings let me reassure you. Covering theology has very little basis in scripture. For those that believe wholeheartedly in coverings let me challenge you to take another look at the scriptures, our common authority, to see if this teaching is true. The proponents of covering theology often paint their critics as backslidden prodigals who want to be in total control of their own lives and live in rebellion to God’s authority. This may be true of some, but a great many people believe wholeheartedly in submission and accountability but feel that strong authoritarian structures subvert and destroy life giving fellowship. Covering theology is based on a patchwork of biblical texts that are incorrectly interpreted, misapplied and misconstrued. Despite this it continues to grow in the fertile soil of the charismatic movement given its anti-intellectual and anti-scholarly bias. Scriptures commonly used in covering theology. 1Chron 16:22 – "Touch not the Lord’s anointed"
Rom 13:1-7 – "Be subject to governing authorities"
Heb 13:17 – "Obey your leaders and submit to them"
Eph 4:8-16 – "God gave some to be apostles, prophets, evangelists, pastors and teachers"
Mat 8:5-12 – "For I too am a man under authority"
2Tim 2:11-12 – "If we endure we will reign with him"
1Sam 15:22-23 – "Rebellion is as the sin of witchcraft"
Num 23:23 – "nor is their any divination against Israel"
1Pe 2:13-14 – "Submit yourself to every authority"
1Sam 24 – "I will not put my hand against my Lord, for he is the Lord’s anointed"
The proponents of covering theology often paint a picture of the church polarized in to two camps: those people properly submitted in God’s hierarchical order and the rebels that reject God’s governing authority. Ironically it is the covering proponents that risk rebellion because they claim authority for themselves that belongs only with God. In their attempts to patch together the disparate passages that make up their case for coverings they have to neglect centuries of orthodox biblical interpretation and the very foundations of the reformation and evangelicalism. There is a better understanding, a more biblical understanding of how Christ’s body works. It doesn’t fit neatly in a corporate flow chart. This is the path of servant leadership and mutual submission. The path of "mutual submission" is more complicated but it takes in to consideration several passages of scripture that don’t fit the authoritarians picture.